Long gone. 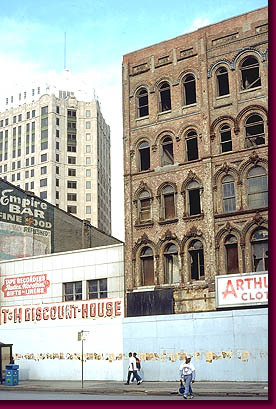 A portion of the 19th Century Monroe Block is seen awaiting demolition. It was destroyed in the late eighties.